Profile: Lyn Lovitt hand builds strong simple clay sculptures, vessels and wall hung pieces using a specially prepared molochite bearing clay. She studied at the Central School of Art, London and then worked at the Briglin Pottery near Baker Street in the city. 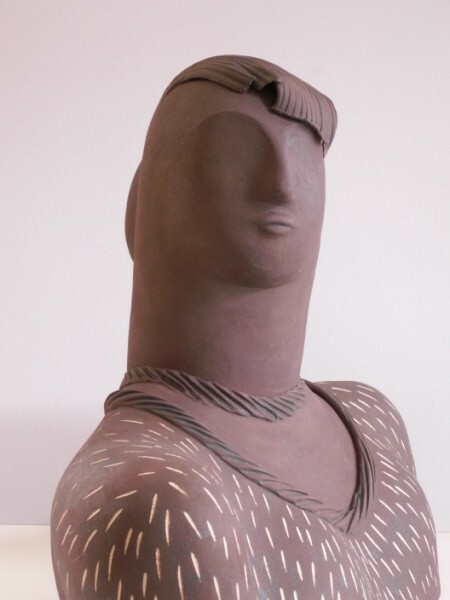 Her sculptural work is individually hand-built using a blend of clays fired to stoneware temperatures which allows the pieces to be placed outside. Wall pieces are painted with slips, oxides and matt glaze with themes of landscape, seascape and still life. Sizes range from small hand-held sculpture to larger pieces up to approximately 60cms.